"All of us must work our way through the empty page, the blank screen, writer’s block, confusion, chaos, and doubt. Although each instance of creativity is singular and specific, the creative process is universal. Artists, architects, poets, inventors, scientists, and others all navigate the same stages of the process in order to discover something that does not yet exist." Kyna Leski draws from her observations and experiences as a teacher, student, maker, writer, and architect to describe the workings of the creative process. Like a storm, the creative process slowly begins to gather and take form until it overtakes us—if we are willing to let it. It is dynamic, continually in motion; it starts, stops, rages and abates, ebbs and flows. Creativity is a path with no beginning or end; it is ongoing. “From pulp magazine origins to recent cinematic triumphs, superheroes mirror our culture. Uniquely American and reflecting enduring values, these characters are a window on inspiration and aspiration defining our society." Julian is Professor of History at Rollins College in Winter Park, FL. He teaches courses in urban history, African-American history, and comic book history in the United States. As a teacher-scholar concerned with community and identity, he has designed numerous public digital history projects that trace community development, document diverse experience, and explore the cultural complexity in Central Florida. He has been recognized for his community engagement work with a Cornell Distinguished Service Award and Florida Campus Compact Service Learning Faculty Award. Julian serves as coordinator of the Africa and African-American Studies Program at Rollins, and Coordinator of the Media, Arts, and Culture Special Interest Section for the Florida Conference of Historians. Among other research and writing, his book, Age of Heroes, Eras of Men, conveys the changing depiction of superheroes from the comic books of the 1930s to the cinematic present. Julian produces a podcast as well - Every Tongue Got to Confess, which investigates issues and solutions connected to communities of color. Urban95 is rooted in the belief that when urban neighborhoods work well for pregnant women, babies, toddlers and young children, they also tend to nurture strong communities and economic development. Some of the Bernard van Leer Foundation projects cited in this interview involve other partners , including but not limited to Bloomberg Philanthropies, Bloomberg Associates and Tel Aviv Foundation. It is in every cell of our body. Factories, cities, and forests all depend on it. It is so ingrained in our everyday life, that water is practically invisible when we have it. But when we don't, it is catastrophic. Water thus has a dual identity. In one instant, water is a a mild mannered element simply doing its job. In the next, it is a wild drama queen stirring up emotions and contentions human conflict. We humans have a long history of fighting over water. If we aren't draining the neighbor's well, we are poisoning the aquifer or even fighting wars to ensure access. Joe Whitworth sees a better way to address environmental protection than idealism and finger pointing. His approach - dubbed quantified conservation - blends environmental and economic metrics to produce transaction-based strategies to realize outcomes with environmental, social, and economic gains. Hip-hop architecture. Is it a paradox? Or is it inevitable? On the one side: structured formality by necessity. On the other: a powerful counterculture defying formality. It seems that hip-hop doesn’t want to be architecture; and architecture doesn’t want to be hip-hop...yet. Sekou Cooke puts hip-hop within the historical context of other cultural movements and their influence on architecture. He suggests that as a dominant cultural movement of our generation, hip-hop is poised to produce its own architecture. Collaborative Innovation. I know I know I know. You’ve heard it all before. The words are used and abused. Like so many important concepts, they have earned a plot in the graveyard of ubiquity. Eli MacLaren of The Business Innovation Factory is here to resurrect collaboration and innovation and to discuss why they are indispensable and inseparable. Today’s episode is special and different. My intern, Lyric Crocker turns the mic around and interviews me. I give you the inside scoop on my mid-life career transition and my take on the Private Side of Public Work. And, we give you an inside peak into our own conversations about the purpose of the show, the distinction between relying on people and collaborating with them, and the difference between urban planning and gentrification and why that is a real question. Most of us are not used to hearing the words business development and university in the same sentence. And for most of us, when we think of development within a university, we think of student enrollment and/or raising money from charitable donors. Some of us might think research grants. But wait. What is the end-goal of all of that research? Academic journal articles are great as a record of scientific achievement, but if those articles are the last stop, what is the point? How can research move from the ivory tower into the real world? Brian Demers works at the sweet spot between scientific invention and commercial viability. Brian is Director of Business Development in the Office of Industry Engagement and Commercial Venturing at Brown Univerisity. In other words, he builds the bridge between university research and commercial markets. Brian assists faculty in identifying and developing inventions that can become viable products and services. He establishes partnerships between the university and commercial entities, and he helps get start-ups off the ground. Today’s Private Side Challenge is keeping your wits about you when confronted with a Public Private Partnership deal. 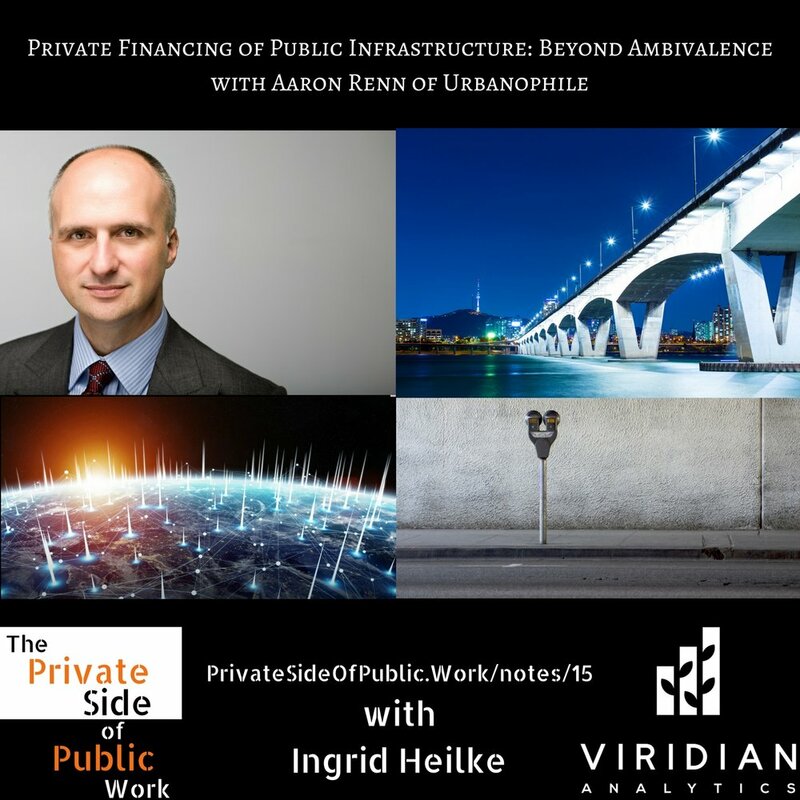 Last week we discussed issues that arises with private financing of public infrastructure. One of the things that struck me was that in the worst of these deals, governments are throwing away their best capabilities – the ability to do strategic and long term planning in favor of a pseudo wall-street hack…. In the 1970’s, some big environmental acts were passed that you might have heard of – The Clean Air Act, The Clean Water Act, Endangered Species Act, and NEPA – the National Environmental Policy Act. The impact that these polices have on our lives and on our health is enormous…and almost invisible to the average person because we tend to take things like clean air and clean water and forests and beaches for granted. But if it weren’t for those four pieces of legislation passed in the early seventies, we would be living in a very different world. 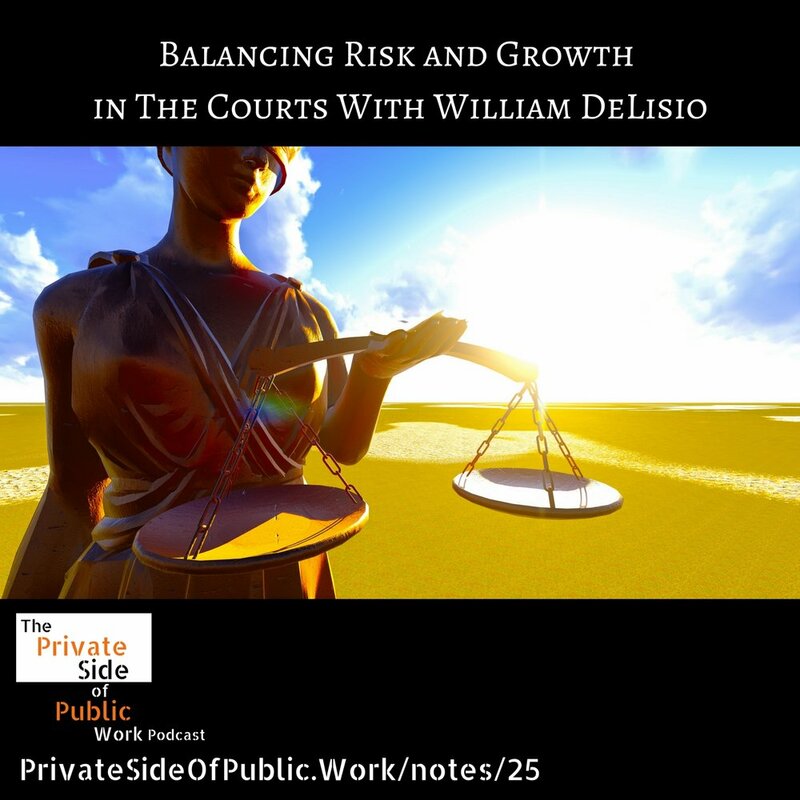 My guest for this show was an environmental planner in the early seventies when these policies were just getting off of the ground and provides a fascinating retrospective on environmental planning in California. Brian Mooney is currently the managing principal for the new Community planning and sustainable development department at Rick Engineering in San Diego California. Brian’s rich experience spans both the public and private sector and just to keep things extra lively he serves as an adjunct professor at several universities, which have included UC San Diego, the New School of Architecture & Design and others. Rick Engineering was founded in 1955 in San Diego California. Since then, Rick has grown in scope and in geography and now has offices that reach across California and into Arizona. What if there was a book that you could hand to a developer that would help them understand how to activate community spaces before dropping millions or billions of dollars into a project? And what if there were a book that you could hand to community leaders that could help them infuse vibrancy into their neighborhoods to attract resources and capital investment? And, what if those two books were one in the same? 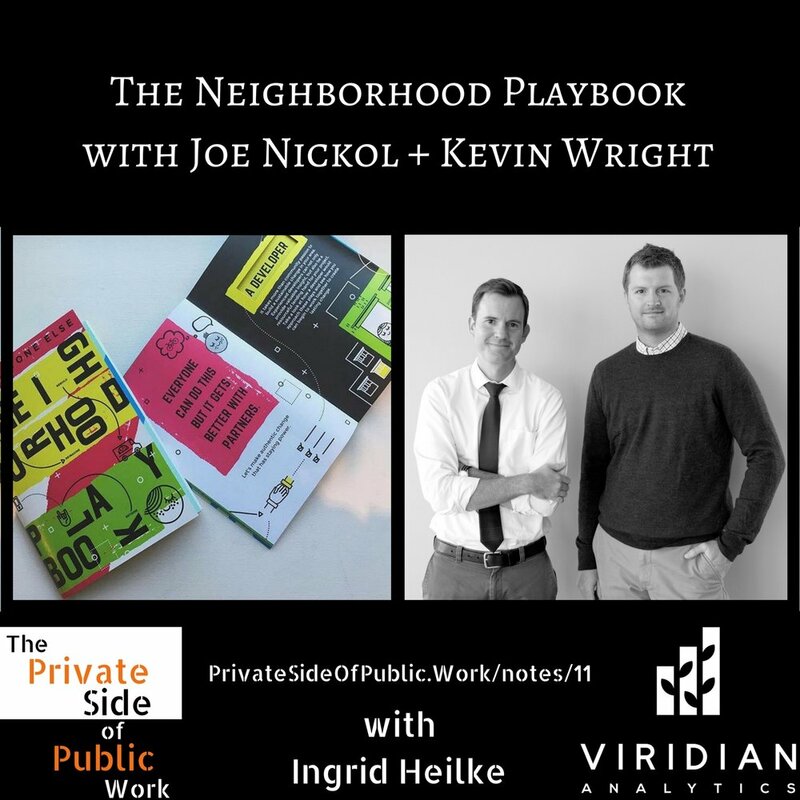 Joe Nickol and Kevin Wright have taken a simple object – a book – and turned it into an incredible tool for changing the form and feeling of cities, neighborhood by neighborhood. The Neighborhood Playbook speaks to both developers and community leaders, and brings them together to work on a singular goal. What does a bitter refreshing drink from Barbados have in common with the field of urban planning? The answer is Tamika Gauvin and a vision for social justice. She is part planner and part founder for Looen Teas. But trust me when I say that those parts add up to more than the whole. I have lived in San Francisco, New York, Boston, L.A., and Japan – all the big names. So it may surprise you to learn that I currently live in Rhode Island. That’s right, a state most famously known as a unit of measure, as in “Texas is 220 times the size of Rhode Island. Or, the wildfires in California burned an area the size of Rhode Island. It’s true, we are small. But we have a lot going on. What you might not know is that Rhode Island is a hot bed of creativity. Rhode Island has the 3rd largest percentage of creative sector jobs in the country after New York and California. And Providence has the 3rd most industrial designers per capita after Detroit and Cleveland. All of this creativity is fed by award winning design schools and other assets that continually feed this creativity. 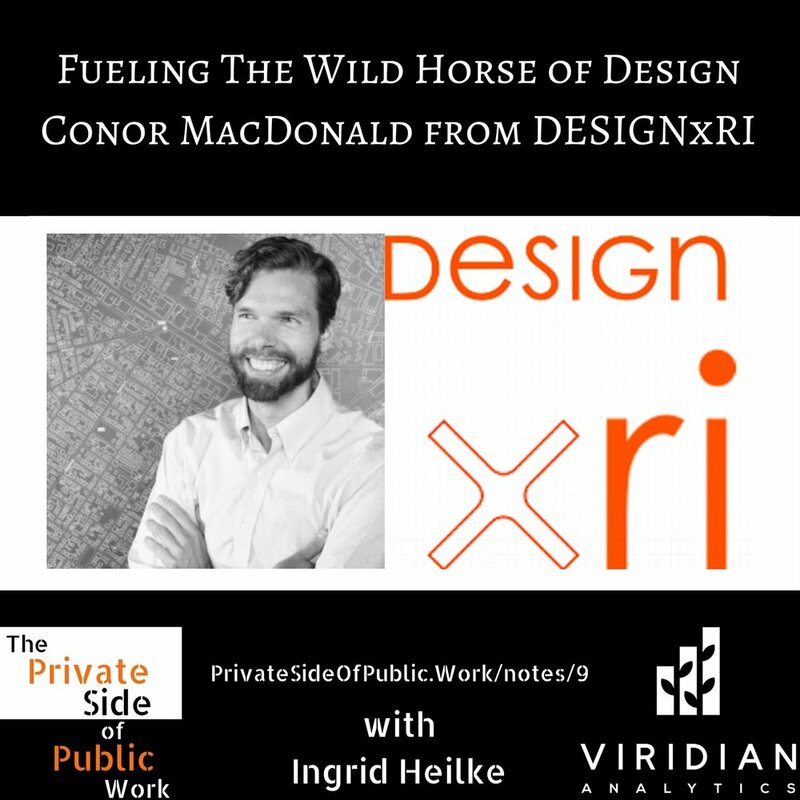 DesignxRI is one of those assets. The organization was founded by Lisa Carnevale to cultivate this incredible talent and leverage it to drive the economic development of Rhode Island. This requires persistent collaboration and partnerships between the public and private sector. And my guest today is adept at navigating those partnerships. Conor MacDonald is adept at navigating public and private sectors. He is is Programs and Engagement Director for DesignxRI. And from personal experience, I can tell you he is a connector. He is just one of those people that does an incredible job of remembering people, promoting them, and creating opportunities where he sees them. What do you think of when you hear the words “food hall?” Does it bring up memories of college dorm food? Or do you imagine an inspiring array of local cuisine, edgy entrepreneurship, and innovative urban planning? Today we are going to talk about the latter (though you are free to reminisce about college days after the show). And I dig into the private and personal side of food hall design and development with my guest Nicolia Robinson from Cooper Carry. Karin Brandt of CoUrbanize has a soft spot in her heart for the folks that everyone loves to hate at public meetings – real estate developers. She has developed a platform for bringing broad audiences of community members together with developers to envision successful projects.